Prince George and Princess Charlotte’s nanny was caught on camera while on duty. 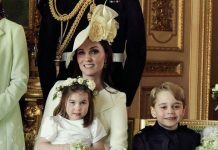 Royal nanny Maria Borrallo has been looking after the Duke and Duchess of Cambridge’s three children: 5-year-old Prince George, 3-year-old Princess Charlotte and 9-month-old Prince Louis. She was hired just months after Prince George was delivered and has served the Cambridge’s for fives years already. Here are some photos featuring Borrallo while on royal duty. In 2015, Borrallo was photographed holding Prince George during Trooping the Colour. 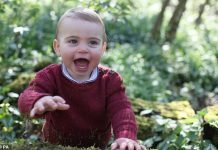 The snap was one of Prince George’s cutest attention-grabbing photo as the toddler made his infamous tongue-wagging. Prince George was reportedly very excited as he watched his mom Middleton and dad Prince William in the parade below. 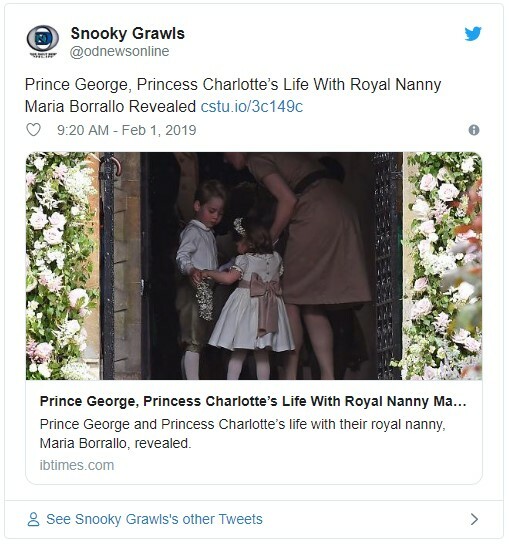 Borrallo was also hands-on when Prince George and Princess Charlotte attend the wedding of their aunt Pippa Middleton to James Matthews at St. Mark’s Church on May 20, 2017. 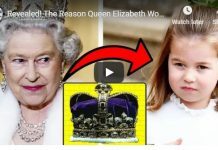 Princess Charlotte was only 2 years old at the time while Prince George was 4. Middleton revealed that they were excited about her sister’s wedding but she was also worried about how her children would behave considering their age. 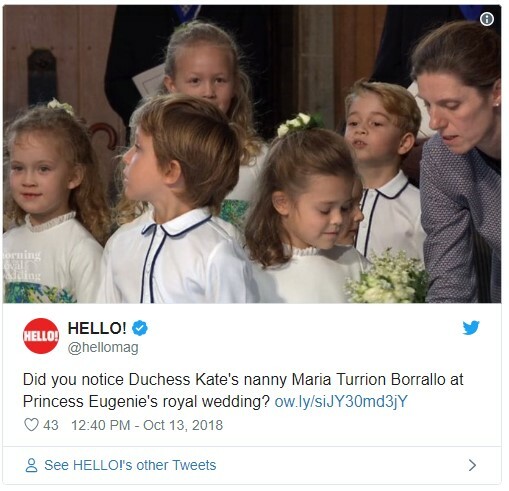 Borrallo was also caught in action during Princess Eugenie’s royal wedding. 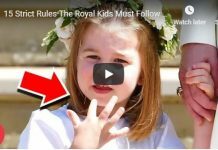 Prince George and Princess Charlotte’s nanny made sure that the young bridesmaids and pageboys were on their best behavior. She was seen handling the children their mini bouquets and instructing them where to stand in the aisle. 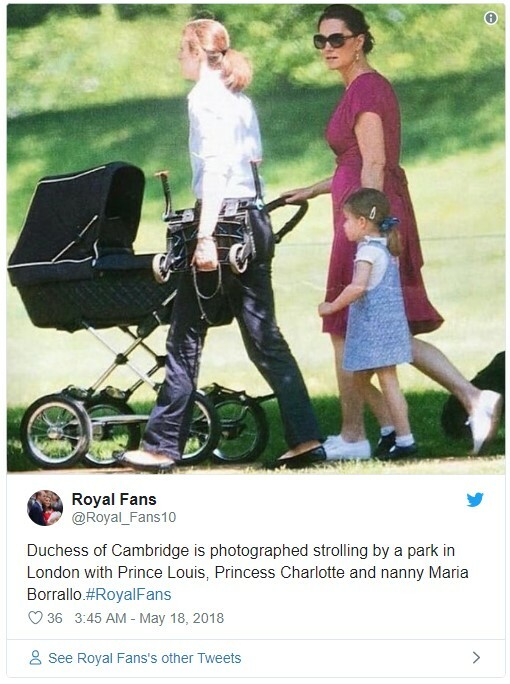 Back in May 2018, Borrallo was photographed joining the Duchess of Cambridge, Prince Louis and Princess Charlotte strolling by a park in London. 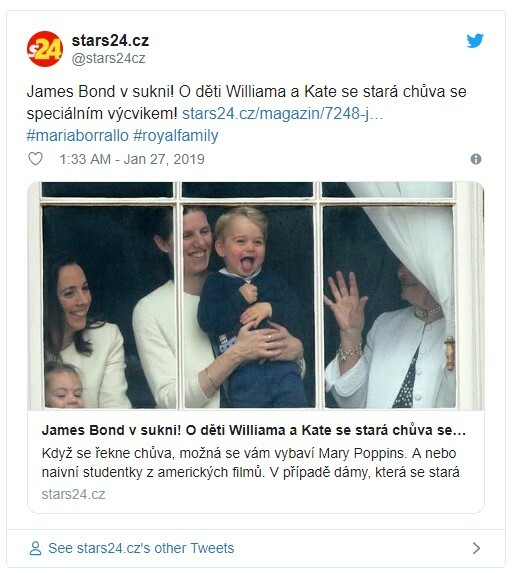 The snap was taken less than a month after Middleton delivered Prince Louis and days before Prince Harry and Meghan Markle’s royal wedding. According to an eyewitness, the 3-year-old little princess enjoyed her time outside and wasn’t ready to go home yet. 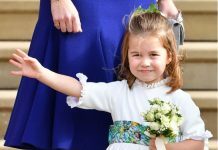 When Middleton was about to leave the park, Princess Charlotte walked toward the opposite direction, so the Duchess have to call her daughter’s addition and the latter complied and did what she was told.